As federal workers who are going unpaid curtail their discretionary spending, small businesses across the Island are feeling the pinch, the Long Island Association says. The federal government shutdown is costing Long Island's economy millions of dollars per week in lost consumer spending by federal workers because many of them aren't receiving paychecks, according to an estimate from the region's largest business group. The Long Island Association estimates that the full weekly payroll of local residents who are employed by Uncle Sam is as much as $28 million. It's not known how many have been furloughed or are working without pay under the partial shutdown. Small businesses are being hit especially hard as federal personnel reduce their discretionary spending, said John A. Rizzo, the LIA's chief economist and a Stony Brook University professor. Firms of many kinds are seeing fewer customers, particularly if they are located near federal offices. “There are ripple effects . . . diners, Laundromats, restaurants, retail stores are all getting less business. The same with federal contractors,” Rizzo said. At Anthony’s Coal Fired Pizza in Bohemia, regular customers from the Federal Aviation Administration office and air traffic control tower about a half mile away on Johnson Avenue in Ronkonkoma have cut back their spending, general manager Jessica Branis said Monday. Branis said customers who would come to the restaurant two or three times a week and spend $50 or $60 per visit have cut back to once every other week. “I could see it hitting them,” she said. The LIA used the wages of all 26,000 federal employees who live in Nassau and Suffolk counties to create its $28 million federal payroll estimate. The jobs carry an average salary of $75,400, according to 2017 Census data. The employee number, also based on Census data, includes people who live here but work in New York City and elsewhere. The Island is home to 16,000 federal jobs, according to separate data from the state Department of Labor. Nationwide, 800,000 federal employees are going without a paycheck. In New York State, 16,000 of the 51,000 federal workers are on furlough, according to the office of Senate Minority Leader Chuck Schumer. The number of Long Island workers going unpaid is unknown. Rizzo said the economic effects are likely to be temporary because federal employees will receive back pay once the shutdown ends. This could lead to a short-term burst of consumer spending, he said. Still, Vogel and others said some federal personnel are finding it difficult to pay bills and buy groceries, even seeking help from area food banks. Last week, the White House Council of Economic Advisers doubled its estimate of the partial shutdown’s negative impact on economic growth nationwide. Council chairman Kevin Hassett said the 2019 projected increase in the gross domestic product, the sum of all goods and services produced, has been cut by 0.13 percentage points per week or nearly 0.5 points since the shutdown began on Dec. 22. He had originally projected GDP growth would be reduced by 0.1 points every two weeks. The council forecast in August that the U.S. economy would expand 2.3 percent for all of 2019. Moody’s Analytics warned “the effect will be more pronounced if the shutdown continues into February and if it exacerbates recent softness in business and consumer confidence or triggers an adverse reaction by financial markets” on Wall Street. The Manhattan-based economic forecasting firm said the partial shutdown is disrupting key business activities, such as permitting and environmental reviews, import and export license processing, initial public offering application reviews and loans to small businesses and homeowners. “A continued disruption of federal housing programs and the suspension of income verification services for mortgage applicants would hurt a U.S. housing market that has already shifted into lower gear,” Moody’s said in a report. In East Islip, Nelson Guerra, manager of Isabella’s Pizza, said the shutdown has already lasted too long. The restaurant normally cooks 10 to 15 of its popular cheese pies per day for customers, including employees from the U.S. District Court in Central Islip, Guerra said. That number is now down to six or seven pies. 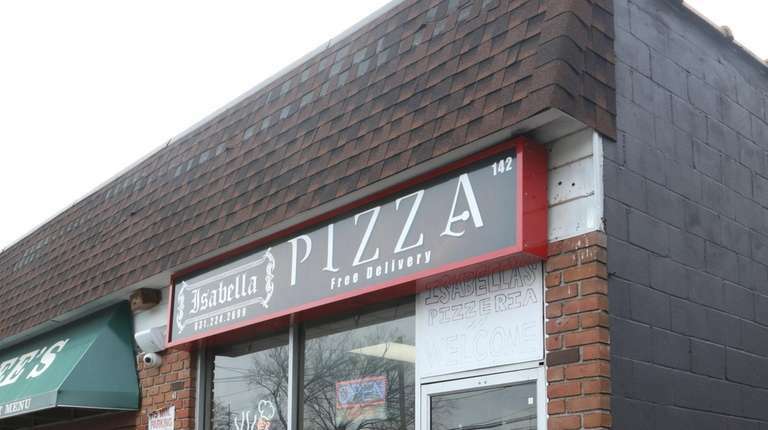 “We have more pizza left over these days,” he said, adding that Isabella’s is losing about $130 a day, an amount that is hard for the small business to absorb. James T. Madore writes about Long Island business news including the economy, development, and the relationship between government and business. He previously served as Albany bureau chief.